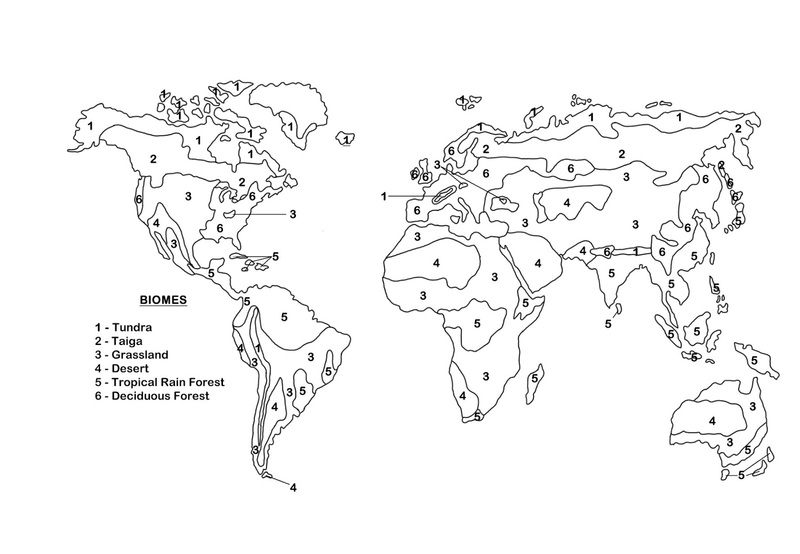 I have been asked for information, worksheets and teaching ideas for the biomes of the world. However, in researching biomes, I have discovered that Scientists don't always agree on how many biomes there are and how they should be classified. Not that I was surprised because as educators and life long learners, we are always asking why and what about........ I decided to focus on 6 major biomes that are referred to in the curriculum standards or courses of study for most educational jurisdictions. The 6 Biomes I have focused on are: the desert , the deciduous forest, the taiga, the grasslands, the desert, the tropical rainforest. Like the scientists, I ask, why we haven't established an 'Urban Biome'? After all, urbanization changes much of the animals and plants found and force the typical adaptations to change. However, this aspect will have us delving into higher level thinking and I'd love to see a student perspective on the matter, once they've studied the 6 biomes. 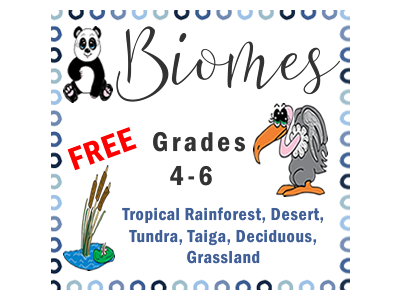 If you have a favorite instructional tool for helping students learn about the biomes, please share. In the series of biome worksheets, you'll find some great maps for students to color and to locate the 6 biomes on. They are copy righted but you are welcome to reproduce for classroom use. Enjoy and share with a teaching friend!